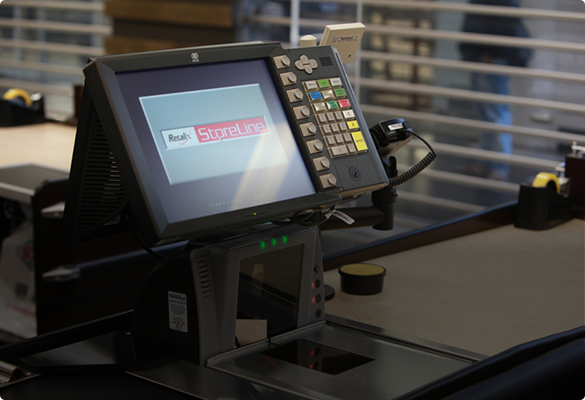 Retail environments run on finely tuned systems in which technology plays a crucial role. 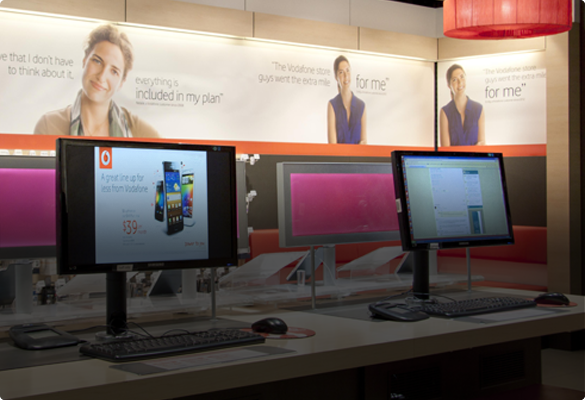 Robust and adaptable mounting selections can streamline operations in both large-scale and boutique environments. 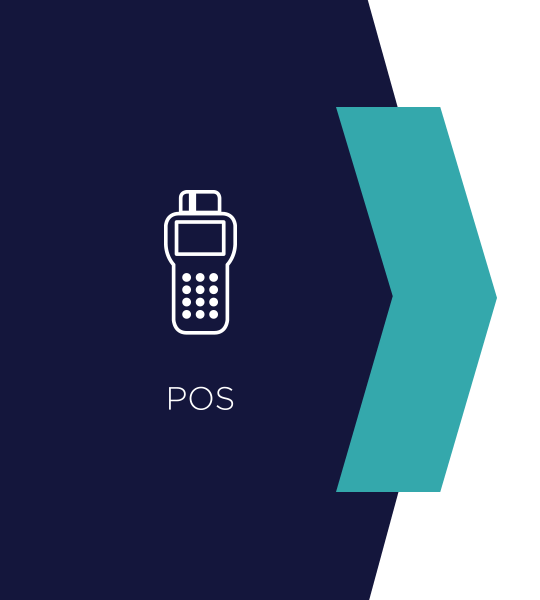 Here’s a quick overview of Atdec’s two key POS product families. 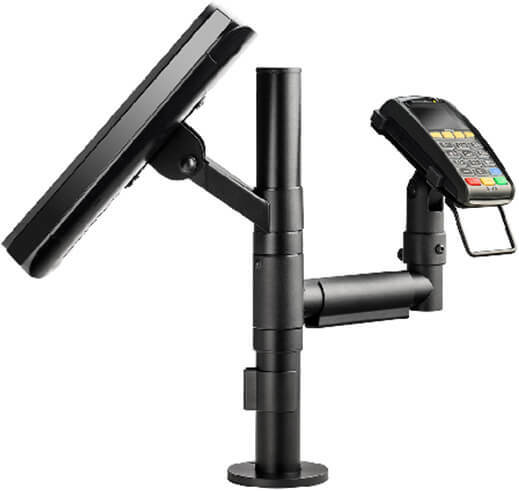 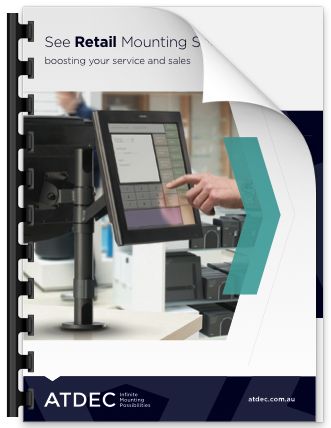 Integrated POS mounts provide adjustable support for touch screen monitors, receipt printers, bar code scanners, keyboards and credit card terminals. 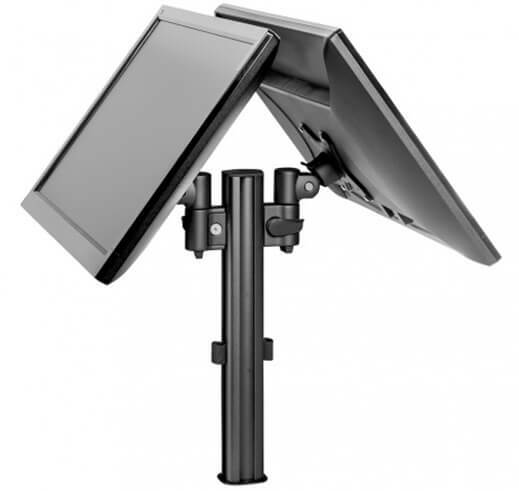 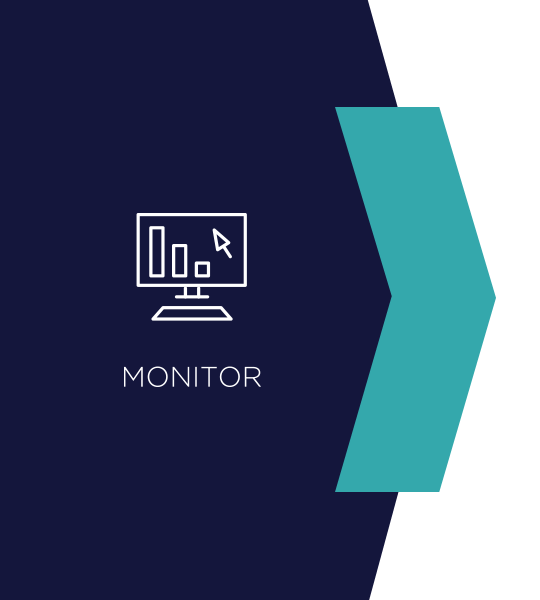 Public-facing point of service mounts provide adjustable, interchangeable, and single or multi-screen support for all kinds of desk monitors.